The mere mention of the word “mathematics” is enough to strike fear into the hearts of adults around the world. For thousands of people, the thought of doing annual tax returns, applying for a mortgage, or even just helping children with their homework can bring them out in an episode of cold sweats and get them running for the nearest calculator. 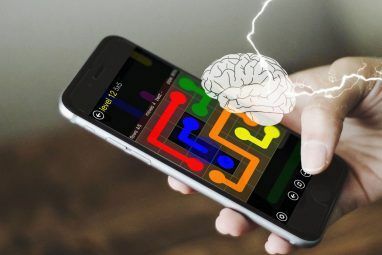 Luckily their are phone apps to help adults improve Get Smarter With Android: 5 Apps For Improving Memory, Math Skills, And More Get Smarter With Android: 5 Apps For Improving Memory, Math Skills, And More "You won't always have a calculator on you!" That's what my math teachers told me all through high school. Little did they know we'd all be carrying around miniature computers in our pockets within the... Read More , but the long-term solution appears reasonably obvious; children need to be engaged with maths from a young age, making use of tools, games, and apps that make the process of learning arithmetic fun rather than an arduous task. Fractions can be a fiendishly difficult aspect of maths 5 Apps That Will Make Learning Fractions Easier & More Fun [iOS] 5 Apps That Will Make Learning Fractions Easier & More Fun [iOS] I remember when I was in school and one of the most difficult things to learn was fractions. Now that I understand them, they make sense (although I still prefer decimals). Whether you think they... Read More – they form a key part of basic algebra and underpin a surprising number of real-world situations. Unfortunately, common denominators, improper fractions, and repeating decimals have caused headaches for schoolchildren since the dawn of time, but “Fraction Flags” aims to change that. The beauty of the game is that it doesn’t really feel like you are working with fractions at all. It revolves around the concept of designing flags with different percentages of colours, thus meaning that the children can get lost in planning wild and wacky designs without being aware that they are also learning. If you’re a parent, you can grab a print screen of some of their better designs and put them on display to encourage your child further. The BBC has always produced a wide range of high-quality learning materials across a broad selection of topics for both adults and children – their language learning services 15 Great Sites to Learn a New Language 15 Great Sites to Learn a New Language Although there are endless resources to learn languages on the web, it is often difficult to find quality websites that offer structured lesson plans for free. Read More are well-renowned. Their BBC School Radio series covers most subjects that children encounter in primary school, but their maths series is particularly well-produced. There are four audio games available; “Counting Songs” (ages 3-5), “Numbertime” (ages 5-7), “Megamaths” (ages 7-9), and “Maths Challenge” (ages 9-11). Each has an emphasis on fun games and building confidence rather than long, drawn-out lectures, and each episode rewards the children with token achievements and plenty of praise. 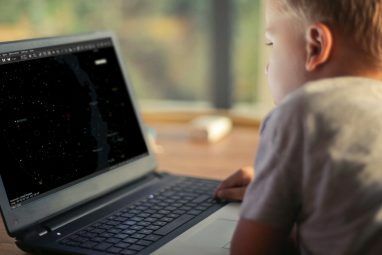 Each one can be downloaded as a podcast, so your child won’t be stuck in front of the computer while they are playing the games – it makes them perfect for lengthy car journeys or long-distance flights. What’s 7×8? What about 8×9?! Even as adults a lot of us struggle with quick-fire multiplication sums. You can give your kids a head start by getting them to do mental times-tables from an early age. Tables Shooter does exactly that. The premise of the game is to “shoot” the right answer by navigating and firing a World War II Spitfire aircraft, and it is a fun distraction that can appeal to a wide age group. Kids can practice their two- to nine- times tables, but the game does not allow for a mixing of different tables. Based on the popular TV show “Who Wants To Be A Millionaire?”, the wittily named “Who Wants To Be A Mathionaire?” uses the same premise, with fifteen questions to move players from nothing to a £1,000,000 jackpot. Like the TV show, the game also features the three “lifelines” (phone-a-friend, 50:50, and ask the audience). Players can take the money at any time, but if they get a question wrong they slide back to their last guaranteed amount (either £1,000 or £32,000). The questions are not too simple and also include some useful maths-based trivia like “How many years are in a millennium?” and non-arithmetic based questions such as “What is the name for the longest side of a right angled triangle?” and “How many sides does a decagon have?”. The game involves the concept of winning money, and some of the questions can get quite tricky, so this one isn’t for the youngest crowd. Nonetheless, if you have a young teenager who wants to brush up on their skills this game will keep them entertained as they frustrate themselves in a bid to win a million. This tablet-friendly game 5 Free Premium Must-Play Games For Your Android Tablet 5 Free Premium Must-Play Games For Your Android Tablet There's more to having a tablet than just blogging, creating spreadsheets and managing your finances. Yes, one of the biggest advantages of having a tablet is, of course, playing games. Here are five games that... Read More is a simple as it sounds – a way to help very young kids become comfortable with using the numbers 1-10. 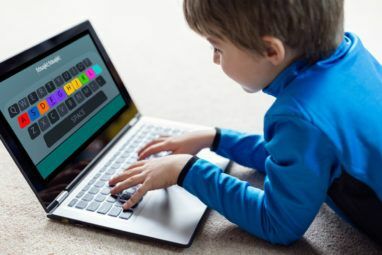 It has two difficulty levels which can be used to match the game to the child’s existing ability, and it’s designed to help them both recognise and use numbers correctly. The game is based around a treasure hunt; as the children correctly answer questions an on-screen scuba diver becomes closer to discovering the hidden gold. Children must answer ten questions correctly to complete the game. The idea of this game is to dress a figure up in any way the player chooses with clothes of a particular value, therefore honing your child’s basic addition and subtraction skills Mad 4 Maths: Interactive Game For Kids To Practice Basic Arithmetic Operations [Android] Mad 4 Maths: Interactive Game For Kids To Practice Basic Arithmetic Operations [Android] Read More (as well as their fashion sense!). The game has ten levels and gets more complicated with each level played, as the value gets higher and the range of clothes available to use becomes greater. The idea is to dress a figure up in any way the player chooses with clothes of a particular value, therefore honing your child’s basic addition and subtraction skills Mad 4 Maths: Interactive Game For Kids To Practice Basic Arithmetic Operations [Android] Mad 4 Maths: Interactive Game For Kids To Practice Basic Arithmetic Operations [Android] Read More (as well as their fashion sense!). The game has ten levels and gets more complicated with each level played, as the value gets higher and the range of clothes available to use becomes greater. The game also has an iPad version, so you kid doesn’t need to sit in front of the computer in order to benefit. Algebra might be a child’s biggest mathematical fear, but this basketball-themed game hopes to make it more fun than simply staring at a blackboard all day. The player has to answer an algebra question, then they get a chance to make a basket. You can put your on screen basketball star anywhere outside the three-point line, then use the cross hairs to try and make the shot. The best part about this game is that it supports two players, so your kids can practice against their siblings, or you can even get involved yourself to brush up on some of those long forgotten equations! Have you played any of these games? Do you think they could help to enthuse your child more than a typical maths lesson? We’d love to hear you thoughts, or better yet, we’d love to hear your child’s thoughts. Leave us some feedback in the comments below. 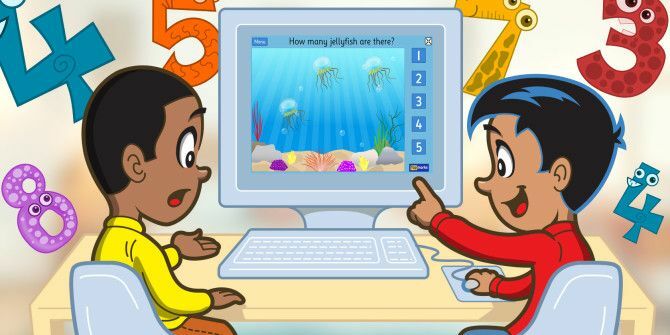 Explore more about: Educational Games, Math. We have satellite and data limits (FAP) and we can't afford ipads and xbox, etc...but my 7 yr old son desperately wants to play games. So can anyone tell me where to go to download free "nice" (non-violent, educational even better) games he can play offline on my desktop??? I've tried chrome store and some say "play offline" but they are not truly offline and I've spent hours searching. I'm hoping it's quite simple and I'm just such a noob...not even that, but I'm missing it. "Luckily their are phone apps to help adults improve, but ..."
Thanks for the tip Stefan, I'll look into it. Well , though i am 13 year boy , but the last game about shooting hoops was kinda boring . The equations seemed too easy for anyone to solve . Although i was able to solve almost all of them , but my shooting wasn't accurate . If you get a wrong answer , then you are not allowed to shoot and you miss a chance . I stopped the ball within the white circle , only for a few times , since ( for me ) the speed was too fast! Advice for updating the game : It should allow you to shoot the ball , if you get an equation's answer wrong , but the speed of stopping it should get doubled . Normally , if you get a equation right , the speed of the ball is too fast ( especially me ) to stop it within that white circle . The speed should be normal if you get an equation's answer right , and should be fast if you get it wrong . I like your tips for updating the game. You might find your reactions slow down a bit as you get older though - I'm not sure I could handle the double speed!! Do you have any other games you can recommend to other young readers? A fun iPhone game I play with my 10yo nephew and can recommend is Sum Fun. It builds up addition skills and also involves a bit of strategy and memory, which keeps it interesting. When he gets a good score he gives me a challenge to beat it, and it’s fun to play together (even when he beats me)! Hint: start with the Square or Football shapes when learning how to play.